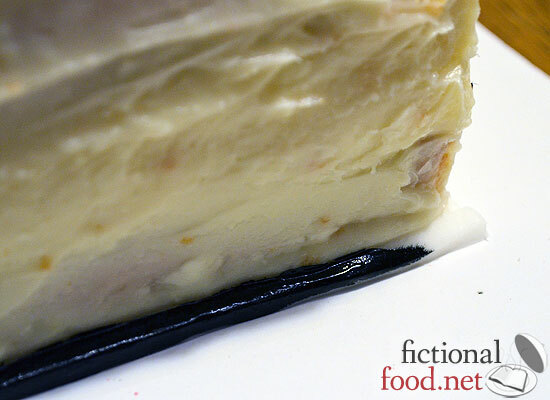 Yesterday was the 4th annual Edible Book Contest at the University of Hawaii at Manoa Hamilton Library. The contest supports the Hawaii Food Bank by requiring contestants to come up with an edible representation of their favorite books and submit it along with a canned good donation. People who come to see the entries and wish to eat after the judging can chow down by making a $1 donation for a plate. The Food Bank also accepts monetary donations and it’s a great way for them to bring in donations. My first year, I did a giant Twilight spam musubi. 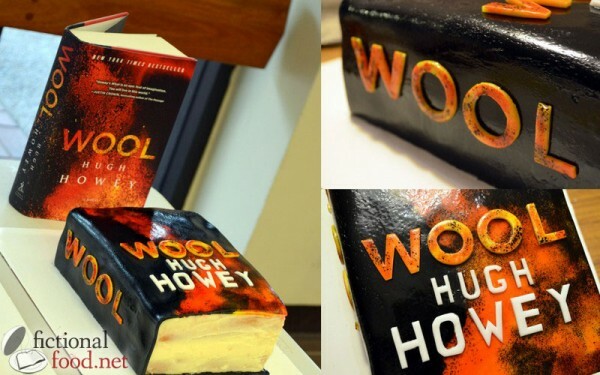 In the second year, I did a Hunger Games cake which I called ‘The Cake That Was on Fire’. Last year I did the Hunger Games Trilogy cake and this year I made two cakes! I started off by baking a plain ole yellow cake in a 9×13 pan. I cut off the curvy ends and then eyeballed it to make two equal layers. I frosted the sides for the pages. 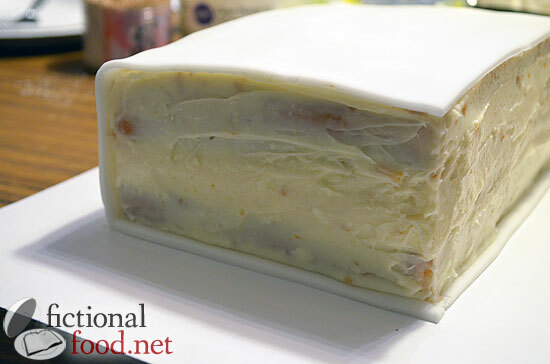 Now, you may think that I chanced my measuring and had the top and bottom wrapped up in a fondant book cover, but I didn’t want to have the stress of being off by 1 cm and having a short cover. I simply measured with a piece of paper from the spine to the end of the front cover and then tucked the edge down under the bottom of the spine. 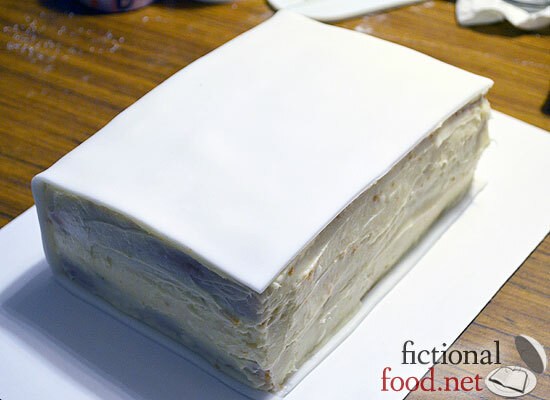 To create the look of the bottom cover, I simply applied little strips around the bottom of the cake. You can kind of see how the two corners don’t match up, but I wasn’t concerned since I was going to be painting it anyway. 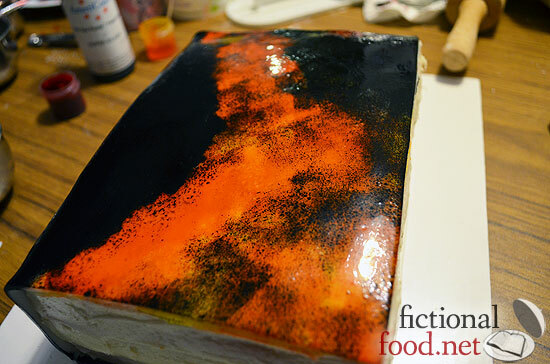 I had a bottle of Super Black food gel and painted it straight on. I actually totally forgot to take photos of this as I did it cause I’m an idiot. I diluted food gel with some acai berry vodka, which I had purchased a long time ago to make Katniss’ flaming cake, but I pantied out and never did it. It smelled amazing though and I had to resist drinking some. I had read vodka was a great thing to dilute the gel with because the alcohol dries fast and I really needed fast drying food coloring. I started by painting the bottom half yellow, then sponged on the orange. I painted some red on, but it wasn’t strong enough and only succeeded in making the orange look darker. Oh well. The black went on last and that was the most fun to apply. I even took a toothpick and scratched up the top right for the scratchy parts of the book cover. 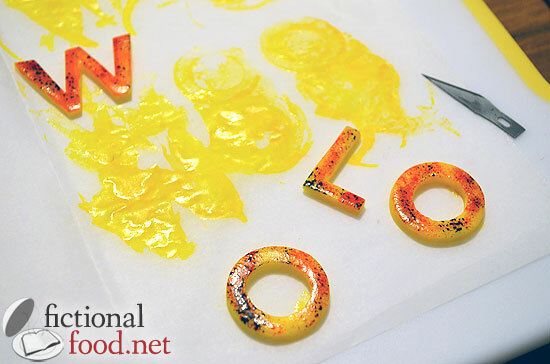 Next, I worked on the letters, which were nice and simple compared to the complete freaking nightmare of the Game of Thrones ones I was working on for the second cake. I painted them yellow then simply applied red, orange, and black with a sponge. The sponge I used was from my fondant kit and I don’t think it’s supposed to be used for painting food coloring on but hey, it was perfect for the job. Here’s the top of the finished cake. 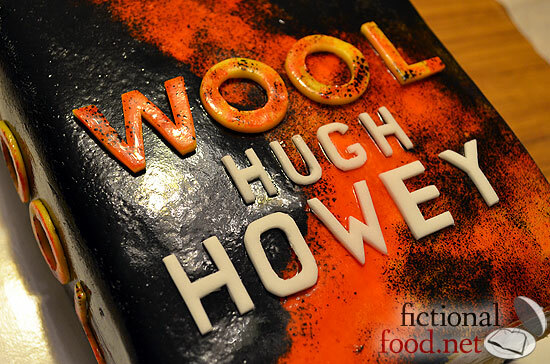 I had first intended to just do the Wool letters, but it looked goofy without the author, so I had to put Hugh’s name on it. There was no way I was going to replicate the thin font used on the book, so I just cut them out freehand. Came out pretty good! Here’s a look at the side of the book! 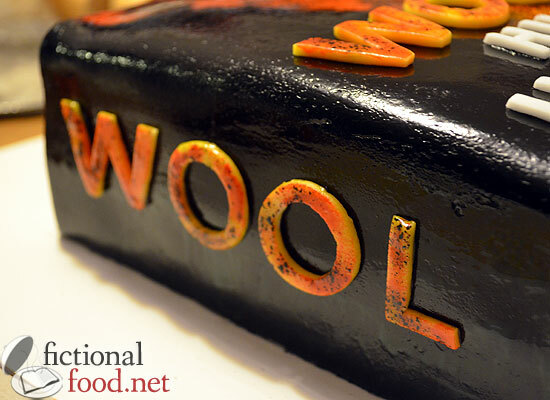 Here’s the final cake at the competition. It won first place for Most Book Like and tied with my Game of Thrones cake for People’s Choice. I’ll post about the other cake soon, hopefully. 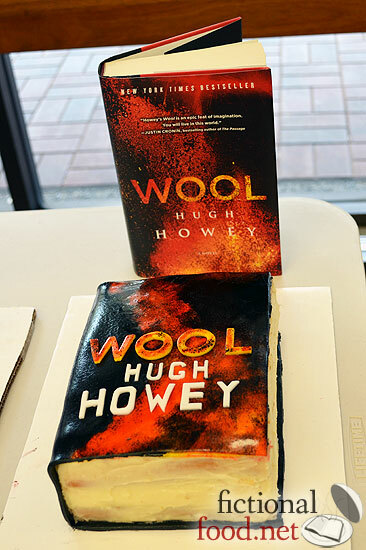 I picked Wool and Game of Thrones sort of as an inside joke for Hugh Howey as well, since he’s always cracking jokes about his little imaginary feud with George RR Martin on his blog.